Nub's Nob is located on the north side of Little Traverse Bay within minutes of the resort towns of Petoskey and Harbor Springs. 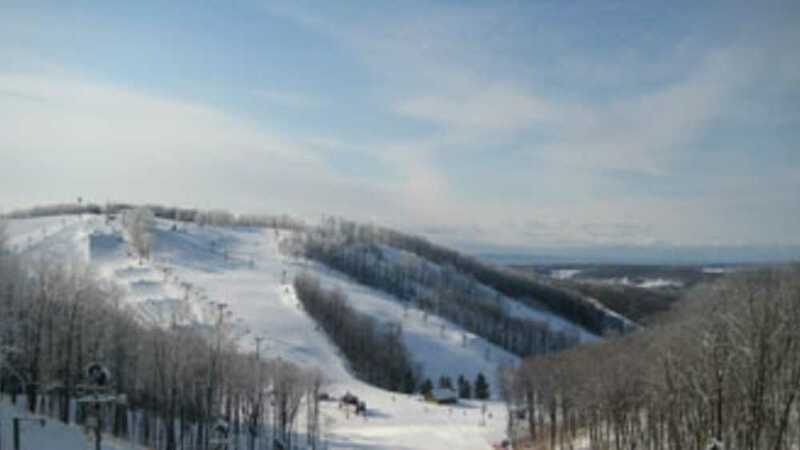 Hailed as the home of "The Midwest's Best Snow" with 53 ski slopes and trails for all abilities of skiers and snowboarders on three separate peaks. Nine chairlifts, including a beginner chair, access to nearly 250 acres of slopes and trails cut through the majestic northern MI hardwoods. The new Race Arena slope will provide a home for our aspiring racers in a venue specifically designed to give them the training they need. Based on a model that has produced Olympic and FIS champions. We also replaced the old handle tow with a fast rope tow which means racers build strength on their way up the hill while increasing the number of runs in the gates in a training session. New snowmaking layout means this area will be one of the first slopes we open with early season access to the Arena Glades. The halfpipe in the Terrain Park gets longer and the wall height moves from 9’ to 12’, new and unique jibs and boxes in the Rail Yard and a new jump area on the lower left side of Smooth Sailing. In our quest for the best snow possible, the best design and engineering in the business, incredible machines allow our groomers to produce the best ski and snowboard surfaces possible. Expanded season pass choices are easier to enjoy Nub's all season long, with reduced number of blackout days.